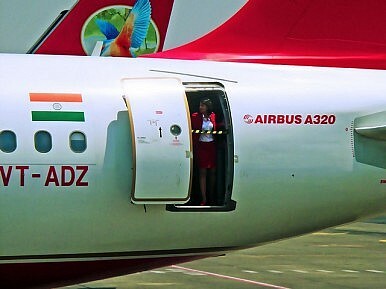 India’s Kingfisher airline is in trouble. But is the flamboyant lifestyle of its owner preventing a bailout? Kingfisher, one of India’s major airlines, is in the news for all the wrong reasons. The airline has been in the red ever since its inception in 2005. But now the owner, Vijay Mallya, a member of parliament and a flamboyant business tycoon better known for his annual raunchy calendars, finds his airline mired in a debt strait-jacket. Kingfisher has been generating news headlines for days and Prime Minister Manmohan Singh and his top ministers have commented on the private airline’s financial mess. The problem? Kingfisher has accumulated losses of more than Rs 4,300 crore (about $850 million) and total debt exceeding Rs 7,000 crore (about $ 1.4 billion) through March 2011. Despite Singh’s promise to draw up a rescue plan for the loss-making airline, the chances of a government bailout along the lines of the government’s efforts to help state-owned Air India still look bleak. The government is instead likely to act as a facilitator for the company. Civil Aviation Minister Vayalar Ravi is reportedly in touch with his senior cabinet colleague Finance Minister Pranab Mukherjee in a bid to persuade the Finance Ministry to instruct the public sector banks to bail out the airline. On November 12, Ravi categorically ruled out any bailout package from the government for the beleaguered airline. However, Ravi has also urged Petroleum Minister Jaipal Reddy to extend credit to Kingfisher, though nothing tangible has come of this request as the oil companies have stopped aviation fuel supplies to Kingfisher as the airline owes more than Rs 200 crore (about $ 40 million) to the oil companies. Government officials say the possibility of the government announcing a financial bailout package for Kingfisher should be discounted, initially at least, for a host of reasons. The first and foremost reason is likely the image of Mallya, who has been a high-stakes gambler and who is known for his luxurious and flamboyant lifestyle. The most the government will be able to do is persuade some leading banks to form a consortium and offer a loan to Mallya. But the terms and conditions of this consortium would be stringent and legally binding, with ironclad recovery clauses. Mallya could be considered for the loan only if he agrees to (i) mortgage all his immovable assets; (ii) agrees to a transparent and efficient administration of the airline with stiff austerity measures; and (iii) agrees the terms for a loan recovery in case of default, including a clause that the banks should sell all Kingfisher aircraft and other assets to recover the loan amount. How will Indian Businessman, Vijay Mallya be brought to justice over allegations of money laundering and consistent non-repayment of debt?